It was 7 pm on a Sunday night when Matt, C.J. and I arrived at the closed shopping mall. We made our way to a door we knew would be unlocked. Having the entire mall to himself, C.J. wanted to run, dance, sing and yell, but we stopped him because guests and shoppers were supposed to be long gone. We passed empty store after empty store. Doors were locked. Lights were off. We walked swiftly and quietly to C.J.’s favorite store. He pulled on the doors, but they didn’t budge. “Hey! It’s locked!” he said turning to me. 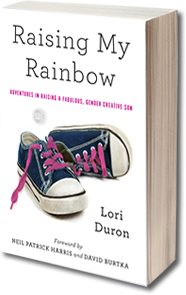 In the beginning of February, we learned that our 11-year-old, gender creative, LGBTQ son was being bullied at school. It wasn’t just teasing. It wasn’t just “kids being kids.” It was physical and verbal harassment. C.J.’s former group of girl friends had turned on him. They said they couldn’t hang out with him because he was gay. They stabbed him with pens. They pushed him, kicked him and pinched him. They stole his lunch and smeared their sandwiches on him. They told him he was invisible and nobody would notice if he was gone. It went on for months. Matt and I had never seen our child in so much pain. He sobbed in our laps when he got home from school and couldn’t fall asleep at night. He (rightfully so) dreaded weekdays. We needed to counterbalance the dread of going to school with the anticipation of going somewhere amazing. Where did our son love going? Where would he go every day if he could? Sephora. Off we went, two or three times at week, to the Sephora in the Shops at Mission Viejo. 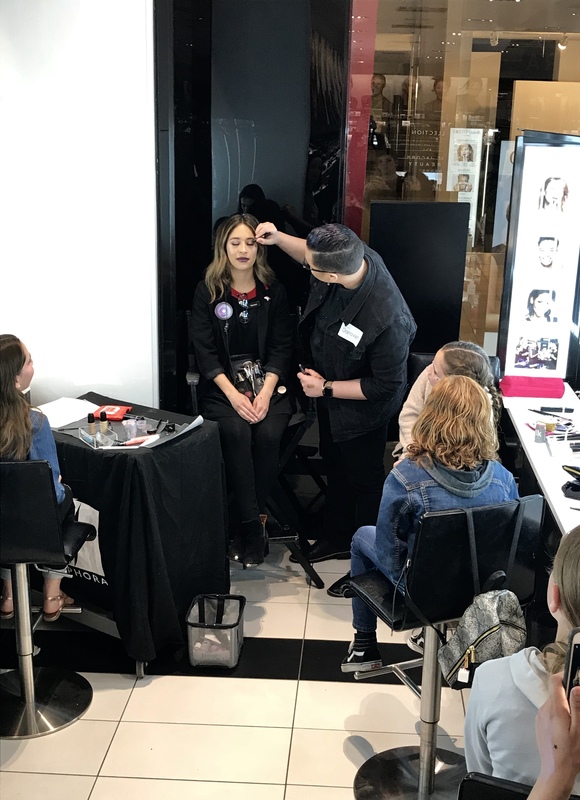 Seeing that he was serious about makeup and appreciative of tips, our Sephora team encouraged him to attend their free makeup classes. Highlighting and Contouring. Brow Shaping. False Lashes. Age-Defying Skincare. No Makeup Makeup. Smokey Eye. He’s completed them all. He bonded with his instructors, Miss Brina, Miss Jenny and Miss Jewel. He looks up to store director Miss Gladys, store manager Miss Kristen and the store’s social media maven Miss Marissa. He started talking about them at home. They were his new Sephora friends who helped him forget about (even if temporarily) his former school friends. Unbeknownst to C.J., the Sephora team was following his bullying story. When they read that the bullying intensified around his birthday (February 1) and he felt like it “ruined his Birthday Month,” they decided to do to something about it. 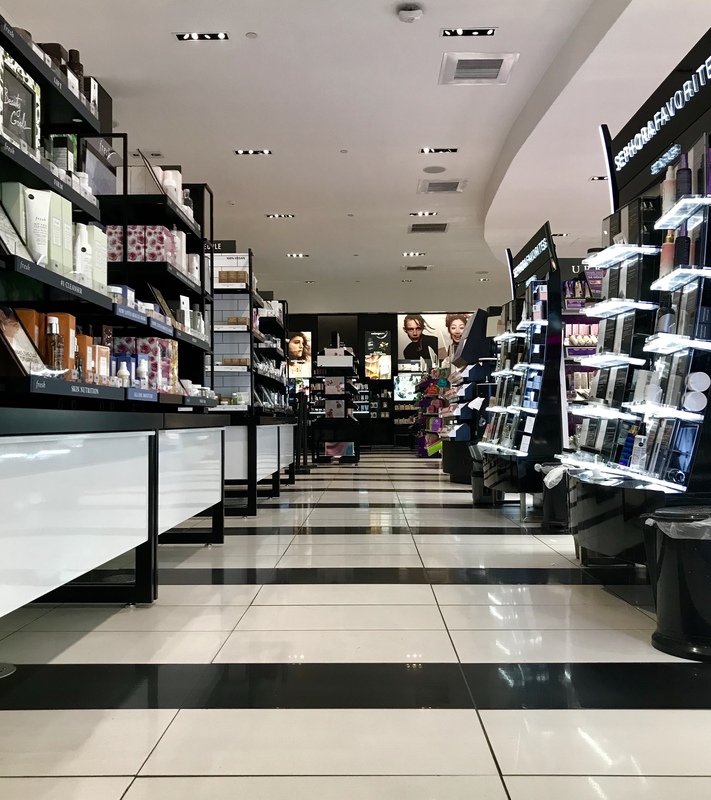 Once the school’s investigation into the bullying was closed, consequences had been issued and it seemed that better days were ahead, our Sephora team stayed long after their shifts had ended to throw C.J. an after-hours, invite-only, festival-makeup-themed belated birthday party. It was the birthday makeover our son desperately needed. The Sephora team had decorated lighted-mirror workstations for C.J. and his five best girlfriends (none of whom go to his school). When the kids saw that a makeup bag full of swag and samples were awaiting each of them, they squealed and took their seats. The Sephora team gave C.J. and his girl friends a custom class on teen makeup inspired by festival season. Which means there was a lot of shimmery pastels, glitter and highlighter. (So. Much. Highlighter.) Then, a special guest of honor, Donovan from Nudestix, gave the group a demo using the brand’s new magnetic eye shadow. 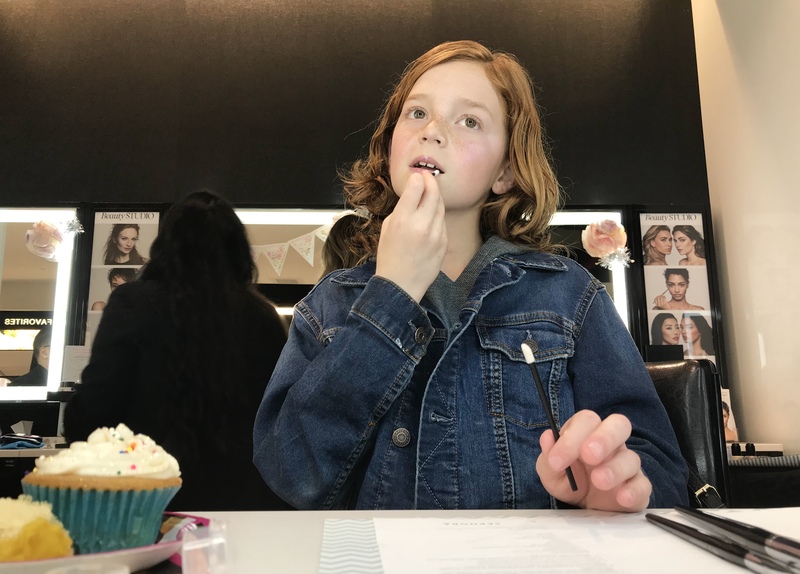 When every square inch of their cute little faces was covered in makeup, the group snacked on edible glitter-covered vegan cupcakes prepared and delivered by Miss Dre, a Sephora team member from another store. High on sugar and shimmer, the group had the store themselves. They wandered the aisles carrying little shopping baskets on their arms like designer handbags. They giggled and called each other over to look at colorful products. Before we left, the Sephora team gave C.J. a birthday card filled with sweet and supportive handwritten notes. When we got home, C.J. sat it by his bed. That’s where it remains, to be read regularly. Sephora helped save my son. They took his worst birthday and made it over into his best birthday. After some of his darkest days, Sephora gave him a bright night and taught him that fearless is the new flawless. The next day, C.J. went to school with flecks of glitter in his hair and a hint of liner on his eyes. “I bet the mean girls at school have never been to an after-hours Sephora party,” he said as we got near his campus. “They are the ones missing out. If they had been nice to me I totally would have invited them,” he said, looking out the window. After school, he made a “thank you poster” and wrote a thank you note to the Sephora team. The next time C.J. saw Miss Gladys (store director) she told him that she would love to have him on her team when he’s a little bit older. Now, when he has a bad day at school because his peers tease him for liking makeup, C.J. focuses on his future and his spot on the Sephora team. 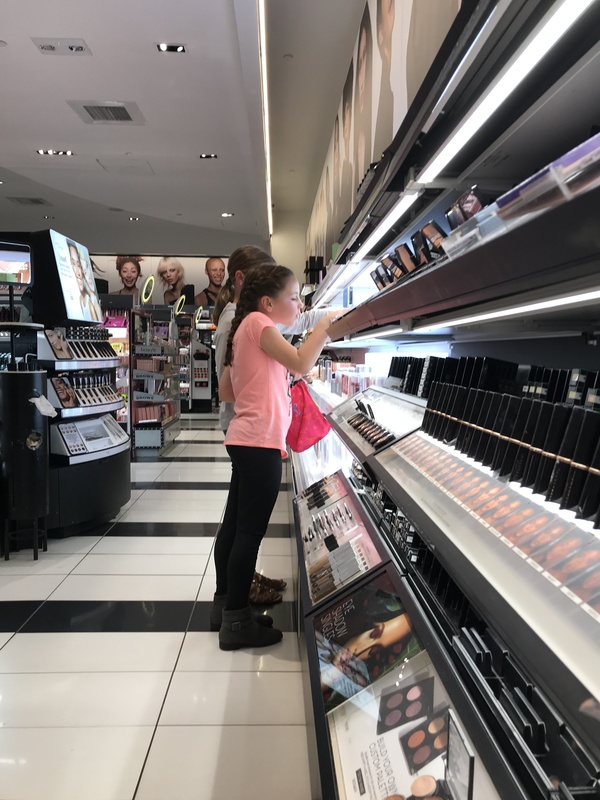 This entry was posted in All Posts and tagged Birthday, bullying, gender creative, gender nonconforming, Gender Stereotypes, LGBT Bullying, LGBTQ, Makeup, Orange County, parenting, Sephora. Bookmark the permalink. What a fantastic story. I have to commend CJ’s parents as well for embracing who he is and loving him completely. I am sure he would love to visit The Sisters of Perpetual Indulgence. They are wonderful people doing amazing things in full face! I saw this on Facebook. OMG. I’m dying. Actually, I’m sniffling because I’m sure there must be something under my one contact lens. I am SO glad that you are CJ’s parent. There are lots of adults who wouldn’t get it, or wouldn’t care, or the very worst, try to change their kid. The world needs more parents like you, more kids like CJ, and more people like this Sephora team. BTW, I can’t put on makeup to save my life and my eyeliner always melts before the day is over, and somehow the fabulous blush in the mirror makes me look washed out…so I also admire your kid for having mad skillz! This story is so heartwarming. I have been in the make up industry for several years and I am so proud of my peers. God Bless them and your baby and of course you for being such an amazing parent. CJ is wise beyond his years… He has managed to find a way to push through the hard times and negativity his fellow students have forced on him and come out the other end optimistic. That is something a lot people far older than he struggle with every day. He is a very strong, very inspiring child. I never fail to be inspired by each of his stories. Well that made me tear up for the best reason. I recently had similar a Sephora experience. A friend was hosting her friend and the friend’s 15 year old gender creative son here in LA a few weeks ago. I was assigned the task of giving fabulosity to a day together. It was Sunday so I couldn’t take him to Nigels or Naimi’s where the Hollywood Pros shop (you can buy from them online), so Sephora it was. Boy was that the right move! Just like you experienced, they were ON IT! I went early to talk to them and they plugged the boy right in with a full make over, dedicated specialist, and the team leader chatted with me how they do make overs for battered women, homeless women and others. 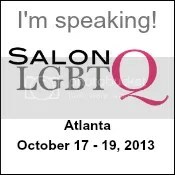 I am moved deeply by Sephora’s awareness and willingness to respond to our society’s needs like this. This just breaks my heart. Beautiful CJ you are amazing, this world needs more of you. No labels, just humans and hearts and love. The one with the more capacity to accept all differences and love more wins. This story is amazing! I’m so happy that Sephora was able to give your son a wonderful experience! I’m going to leave a comment even though it will probably read as awkward and rambly. I’ve been following this blog for years now (I don’t remember how I stumbled upon it; I’m not a mother, and a college student, so these kinds of blogs aren’t usually on my radar) but I don’t get alerts or follow any social media you might have, so I have been checking the site daily. After the last few posts, I’ve been anxious to hear how things have been going for C.J and your family, and because when I get anxious my mind always goes to the worst case scenario, I’m so happy this newest post is so hopeful!!! 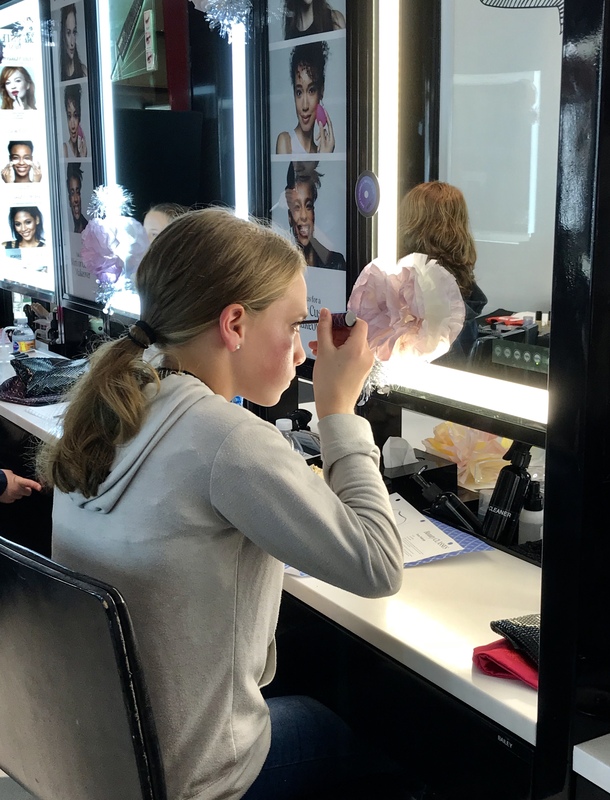 It’s not easy to be even a “socially acceptable” 11 year old, so being an especially fabulous 11 year old is probably especially hard, with no easily seen happy-ever-after. I hope C.J knows how much joy and inspiration he (and you) bring to this sleep-deprived college senior and your other followers just by being his wonderful self! I’m so glad that C.J has as many or more people who love him and would move the stars for him than cruel people who have tried to tear him down, and I’m honored to see the glimpses of your wonderful supportive family. ,what a great story. You and your kid ROCK! This was so beautiful. I just love following your story. I have a gender nonconforming relative also and I just love knowing there is support out there. What a wonderful thing Sephora did for CJ! I’m so glad he was able to have such a special time with his friends. I hope things are going better for him at school. Honestly I feel so proud to be a Sephora employee right now!! So glad CJ. Found us! If that isn’t gender non/conforming, then I will never know. And to think 🤔 that all the Establishment Conservative Theocrats (like the military, where I spent half my adult working life, as well as pilots and the FAA) routinely use these phonetics as an accepted part of their “normal society”. You are beautiful! This stuff will pass; just hang in there until it does and you find a tribe (you already have a great start on one!) that loves you for everything that makes you YOU. Keep on being fabulous! Huh, our Sephora has a disclaimer on the website that clients under 13 years old are not eligible to participate in their beauty classes. Guess my son won’t get to have the Sephora experience. I strongly suggest you call your store and/or stop in and see if they will let your son attend classes. That’s what I had to do. And we started with classes at slower times (week days in the evening) and an adult (either myself or my husband) stays with CJ the entire time and offers help if it is needed so he is a good classmate to others attending the class. Are you CJ’s mom? This story really touched my heart. Please let CJ know he is loved and perfect just the way he is. And thank you, thank you, thank you for being amazing parents. You were right. Kevin at Sephora was very accommodating. Oh for Pete’s sake. Way to be a killjoy Alpha Mom. I’m sure they would make an exception for your child if he was mature and loves makeup. They can’t have a bunch of littles running around there. I am so happy that the Sephora cast did this for your son. I have a rainbow kid, too(literally – his hair is usually a rainbow!) He too was bullied and hurt as a child but I didn’t know how much until he was 20 and had a breakdown. I truly wish he would’ve spoken up like your son. Today he is finally fairly happy and he works at an east coast Sephora! Please let your child know it does get better. Sending you big hugs from Massachusetts! I’m so happy to read your son is doing well now! I grew up in Braintree and used to eye the make counter at Jordan Marsh at the south Shore Plaza. It can be tough in our neck of the woods. But people like you and your son are changing that! WOW, not a big makeup person myself but Sephora is my new go to gift for anyone who is! Once again thank you for sharing your amazing family with all of us. CJ you are amazing! By the way, so is your family! Glad to hear C.J. is doing better. Has he watched the reboot of the Roseanne series? If so, what does he think of Mark, Roseanne’s 9-year-old grandson in the show whose character is protrayed as gender-fluid? Cheers to a mainstream network show for including a gender-nonbinary kid. This is amazing! Love Sephora even more now then I already did!!!! The most heroic among us risk fear & failure as they envision & strive to rise to their full potential & learn to own their power. May C.J. continue to rise & thrive. So cool! CJ is so lucky to have you as mom!! WTG Sephora!!!!!!!!!!!! I always liked Sephora. Now I REALLY like Sephora. What a wonderful thing to do. Everyone deserves to be loved and happy and safe being just who they are. Big hug to you CJ, and happy really belated birthday. I am so happy that CJ got such a wonderful belated birthday. Sephora will now be my go to store for makeup. I think of CJ and your family so often. Sending positive, healing energy to one of the most awesome kid and family. Keep your head up CJ, there are only a handful of those mean girls, but there are thousands of people who think you are amazing! I love this! Will be ordering Sephora products online from now on. You have a great family! What I’ve never figured out is why the beauty industry has never gotten involved with promoting even light makeup for men. Everybody looks better with a little mascara, or a small bit of eyeliner. Everyone’s naisl look great even in clear polish. They could literally and easily increase their sales by 50% AND contribute to stopping gender stereotype bullying. A few ads placed here and there. Discussion in public forums. Make it about enhancing your looks and sophistication. Not the feminization of America. Because make up is NOT a gendered product. It’s an enhancement product. That’s it. Because we all know Johnny Depp looks great in eyeliner…. Yeah. It’s funny. Nobody blinks twice at JD for his eyliner.in fact I’ve heard so many women comment on how attractive he is wearing it. It’s just the right combo of bravery, smart, funny and beauty enhancement that he pulls into Capt Jack Sparrow. It certainly doesn’t have to be as over the top he is in costume, but the point is that he does look better, so no reason anybody wouldn’t. There are no words for how happy this makes me! That Sephora crew is AWESOME! Also, congrats on the news about OC Pride! Well deserved for such an awesome family. So glad to hear this. 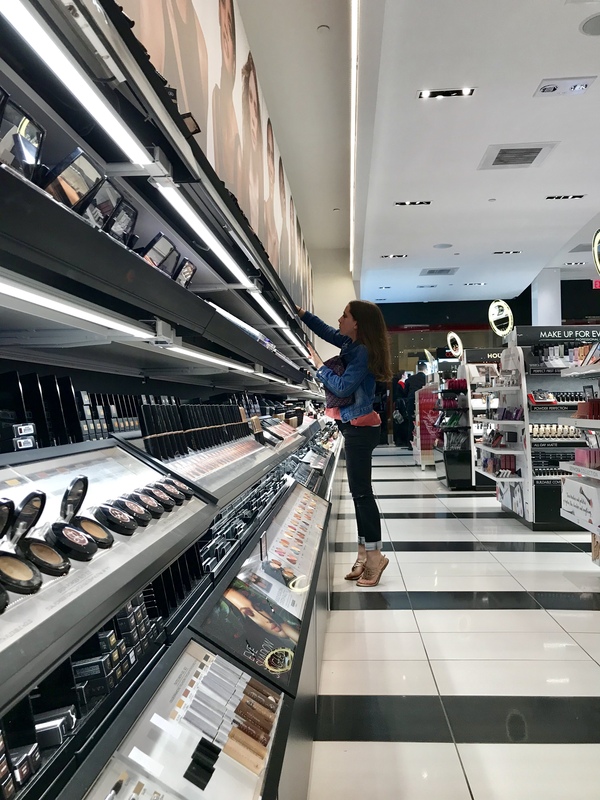 I am so impressed by Sephora’s response and what they did for CJ is so impressive. I hope things do get better and that they school situation next year is a great one! Awww. This story is so uplifting! And cj and his friends sound like awesome kiddos. Kudos to mom for accepting her son as is and for the wonderful staff at this Sephora store . I have a trans son and this gave me all the feels. Thank goodness for people like those at Sephora. Our kids have a rough ride ahead, but we can all make it better by being kin. Tell him to stay strong and he’s absolutely right. Those girls are missing out! Thanks so much for sharing. It made my day! You are an amazing kid CJ!!! Don’t let the mean girls define you. There are thousands of kids out there who are breaking stereotypes too, and you are a role model to them. But I know it gets lonely being one of a kind in grade school. Hang in there and know that you are very loved and admired for being exactly who you are and who you want to be!! This had me in a puddle of tears. You go CJ! You have a lot of people who’ll you’ll probably never meet, who love you, who support you, who pray for you and most of all who are proud of you! I am a 60 year old grandma who buys skin care products, wrinkle cream (lots!) and make up. At my age I can afford to buy what ever brand I like and shop wherever I like. From now on Sephora gets all my business. They have always carried quality products, but to know that as a store they are willing to stand up for what is right and fair and just, well, that is worth more than all the commercials money can buy. Spread the word. This made me tear up. There are really wonderful people in the world. Sometimes WordPress needs a love button instead of a like button. As a former bullied child, I am so glad he’s got something to look forward to each week. I’m also so glad that you stood up with him and insisted this was not okay and had to be dealt with. I’m from the “words don’t hurt” “just ignore them and they’ll go away” generation and that so doesn’t make a difference when it comes to bullies. Happy very belated birthday CJ!!! This was the SWEETEST THING. That’s an awesome Sephora you’ve got there. This is wonderful and so touching. That’s wonderful. Did it get any better at school? It has gotten better…or not so bad, at least. A lot of girls ignore CJ because they think he’s a tattle. We are just trying to get through this school year and plan for next school year. Well. That’s improvement. Tattle now. Sheesh. If it’s not one thing it’s another, isn’t it? To me it’s a continuation of this theme going on of lack of personal accountability. They Billy, think that’s cool. The target fights back, they change the narrative to tattle tale. Either way, there’s no recognition that their actions had anything to do with it. Thanks for the reply rainbow. I wondered how C.J. was doing….thank you for the update…… I am flying into SNA today from PHX. Your Sephora will be a stop…. This is a beautiful story. Thank you for sharing. I wish CJ all the best and I’m so glad he feels safe and embraced at Sephora! Thank you for sharing this. I was also concerned about what had happened since you told us about the bullying. He is such a great kid, I’m glad he got such a special gift to brighten his birthday. I’ve never been to Sephora, but I will now. Thank you for posting this. I’ve been thinking about CJ since the bullying post and wondering if he’s making it through this horror-show. I’m so happy that he’s not been beaten down completely by his former friends. Please remind him that there are a lot of people out here rooting for him! I rarely buy makeup but usually it is from Sephora. From now on it will only be from Sephora. You have amazing Son. Those mean girls don’t deserve the benefit to be friends with a child like C.J. Bullies never win. I look forward to seeing the day when C.J. has his spot on the team at Sephora. Thank you, Sephora team. I’ve been following CJs journey for a LONG time. Better days ahead… keep it up, CJ. I am only buying my makeup from Sephora from this point forward! What a wonderful group of people for C.J. to have to be his friends and mentors. It’s only 7 a.m. But I can’t imagine reading anything more uplifting all day! You have a great kid! You have a great Sephora! C.J. I’ll travle the world just to get your help with makeup and products when you are old enough to work at Sephora… YOU are my HERO.